A Latvian payment processing firm wants to buy the Denver-based holding company of Colorado National Bank. Court filings in the wake of Colorado National Bancorp’s Chapter 11 bankruptcy last week show that Mark Moskvins and Maksims Jarosevskis are seeking to acquire the company. Moskvins’ LinkedIn page identifies him as the owner of SIA Transact Pro, and media outlets have reported that Jarosevskis owns a stake in the company. Lawyers representing Moskvins in the bankruptcy proceedings say in court documents that they also represent SIA Transact Pro. Two of those lawyers did not respond to a request for comment. The president of Colorado National Bank and a lawyer representing the holding company also did not respond to calls requesting comment. SIA Transact Pro’s website describes the company as “the first licensed electronic money institution in Latvia with the right to render payment services.” It says the firm is not a bank. The company could face competition for Colorado National Bancorp. The bankruptcy petition, filed late Wednesday, triggers a process in which other interested parties could also bid on the holding company. 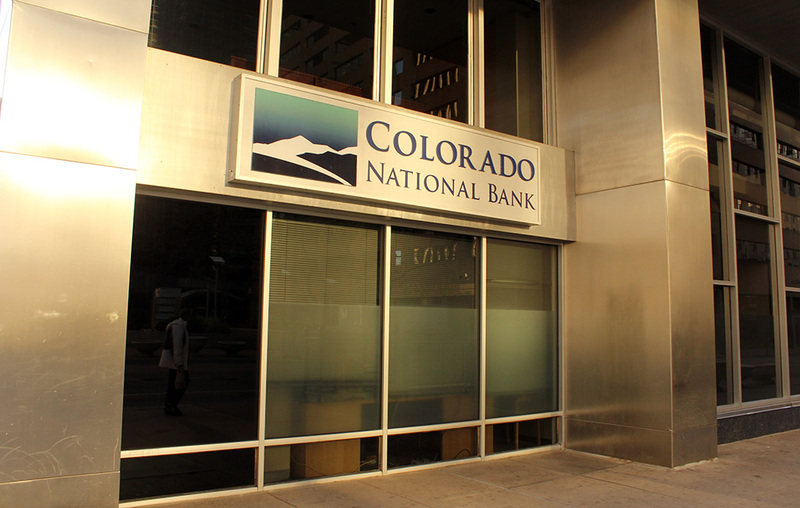 Colorado National Bank has two branches, in downtown Denver and Palisade, Colorado. The company originally was called Community Bank Partners when it was founded around 2009. Filings by the holding company claim leadership has been trying to sell it for two years. That effort has roots in $4.7 million of promissory notes the company says it issued between January 2013 and November 2013. In June 2016, according to the filing, the holders of 11 promissory notes, representing a $2.9 million principal, sued Colorado National Bancorp. In January 2017, the court ordered the holding company to pay more than $4.2 million, according to the filing. Colorado National Bancorp says in court documents that it filed bankruptcy to facilitate a sale in order to prevent the noteholders from seizing equity interests, to ensure bank operations would continue and to allow the infusion of additional capital into Colorado National Bank. The holding company says its options were limited by an enforcement action issued against Colorado National Bank by the federal Office of the Comptroller of the Currency in May 2016. The action was based on “unsafe and unsound banking practices,” according to the filing, and the bank eventually reached an agreement with the regulator. The holding company says that, in June 2015, it began exploring the possibility to reorganize through a recapitalization, sale or merger, and concluded the latter two options were the most feasible. The company says in the filing that it hired Tampa-based Atlantic Merchant Capital Advisors to solicit offers in January 2016, ultimately approaching more than 50 firms. While 15 firms signed non-disclosure agreements to learn more, and two submitted indications of interest, conversations fell apart during 2016, according to the filing. In May 2017, another bank holding company offered to buy Colorado National Bancorp, but that offer was rejected because the price was too low. The holding company has not set a deadline for interested parties to submit a bid. If a bid from another party is ultimately chosen, Moskvins and Jarosevskis are entitled to a $250,000 break-up fee and the reimbursement of up to $200,000 in expenses, according to court records.